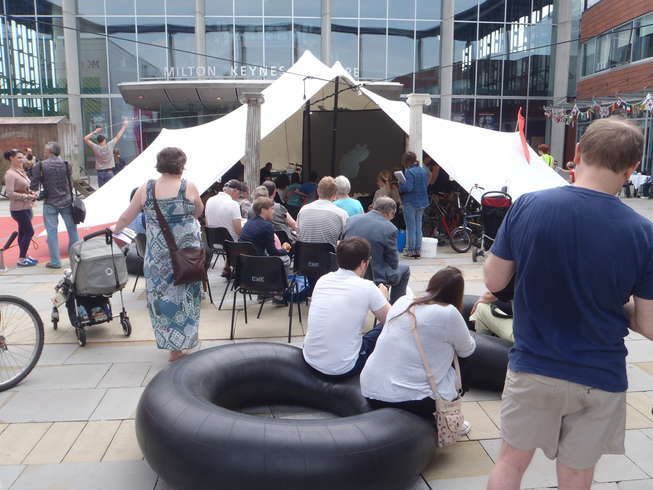 Last Friday saw the Magnificent Revolution 20 bike cycle-in cinema being set up for the Milton Keynes Fringe Festival for an event organised by Independent Cinema MK. 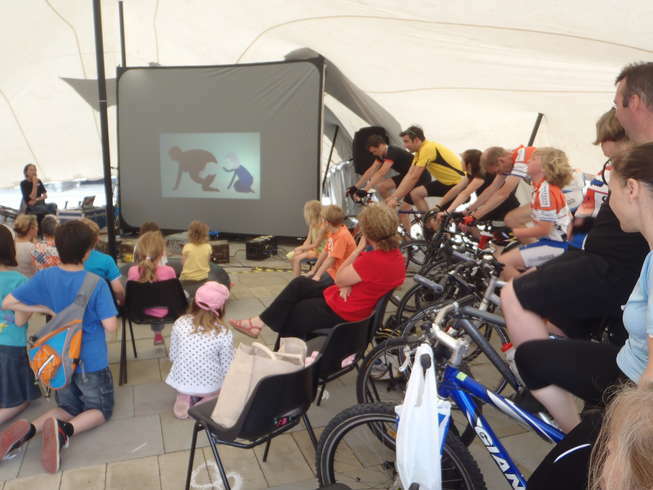 The event attracted loads of keen cyclists, both young and old. Team MK were there and pedalling for the whole 3 hours. We even had power generated by the Mayor and a number of local MPs. 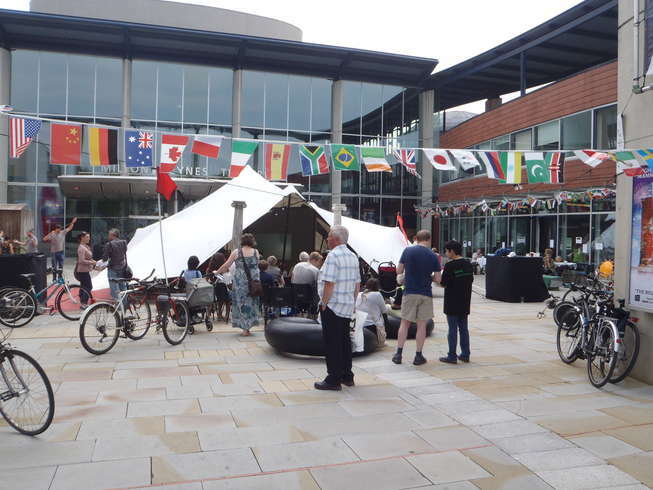 The event ran throughout the day and showed a number of interesting family-friendly animations, chosen by local animator, Tim Searle. 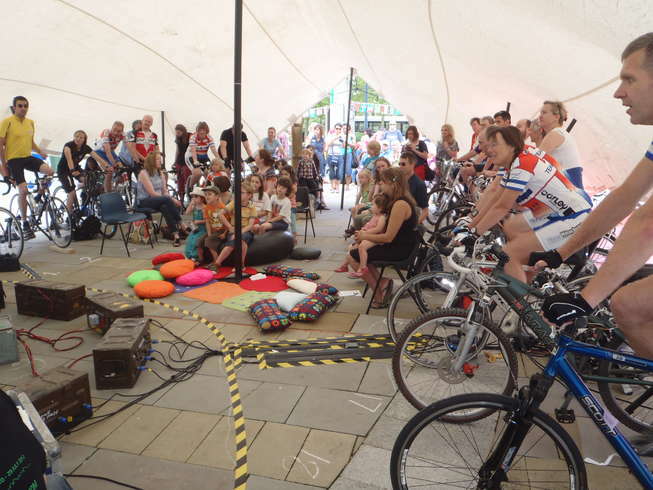 We have been involved with Magnificent Revolution for a number of years now and were involved with the design and build of the 20-bike generator and electrical system. 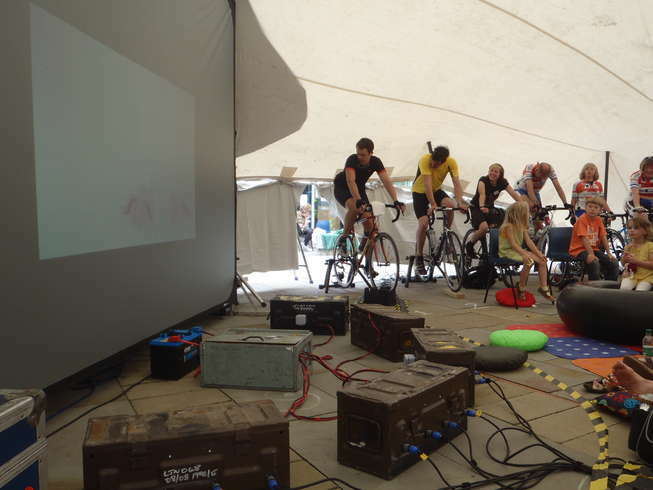 We have worked together for a number of other pedal-powered projects including the giant power monitor at the Arcola Theatre. 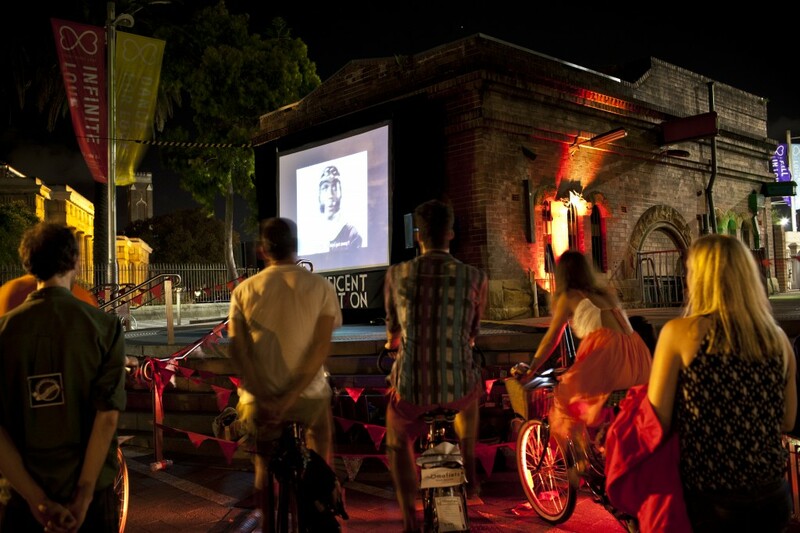 A few months ago we helped Magnificent Revolution Australia build their 8-bike pedal powered cinema.They recently used the pedal generator for a high-profile event in the heart of Sydney. More photos from the event are on their website here. It looked like a great event. This followed the general design used for the Magnificent Revolution 20-bike generator, which I was involved with building a year ago. A blog post on the design and build is here. 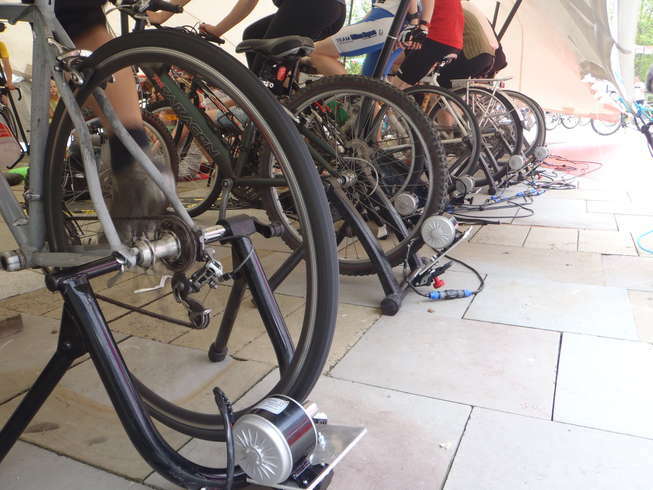 Re-innovation was asked by Magnificent Revolution to help build an 8-bike pedal powered generator for use over in Australia. Greer Allen has started up Magnificent Revolution Australia and has been working with Magnificent Revolution in London. She will be taking the generator over to Australia for a cinema event in Sydney.